An ideal combination of location, low monthlies and building services makes this efficient studio the perfect starter home (or pied--terre) at the Sage House* - a historic co-op in Gramercy, Manhattan's most genteel neighborhood!This sweet home enjoys 9'1" ceiling with recessed lights, hardwood floors, and two super-sized windows that overlook serene East 22nd Street. 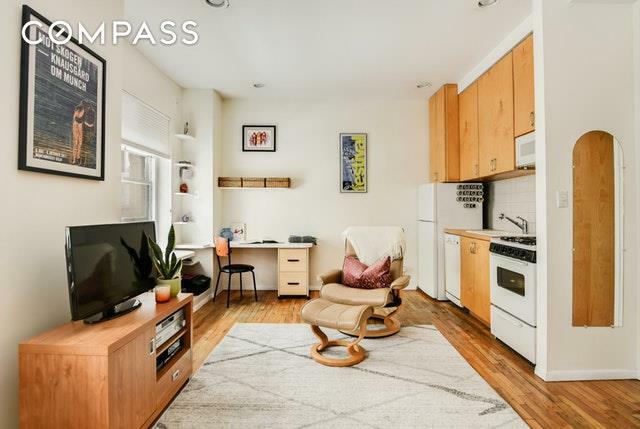 The queen-size Murphy bed and various built-ins allow flexible use of the entire studio, and the open kitchen features dishwasher and generous cabinets. Tiled bath, double closet, and through-window A/C complete this home. (Note: studio next door is also available for sale for a rare combination opportunity at an amazing price! 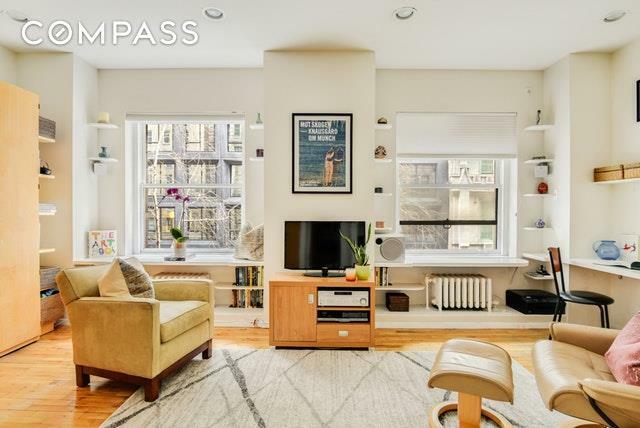 )The Sage House is a full-service co-op in a gorgeous landmarked pre-war building located just north of Gramercy Park (Manhattan's only private park). Building amenities include full-time doormen, resident manager, central laundry room, elevators, bike room, and storage (short wait list). Flexible board welcomes your pets, and considers various purchase scenarios including gifts, co-purchase, and parents buying with professional child. 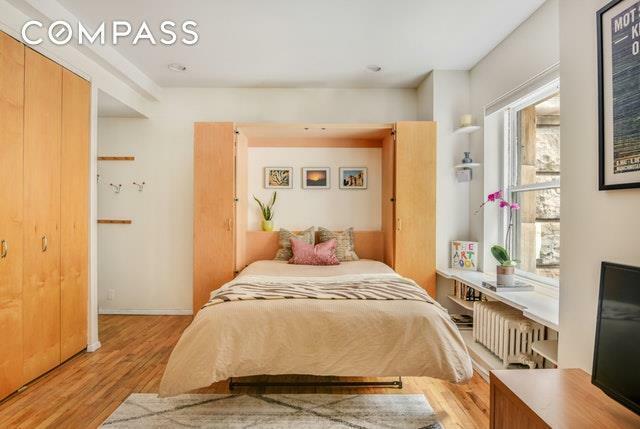 Best of all, generous sublet policy after just 1 year!This home is superbly located in the heart of Gramercy neighborhood. Around the corner is the famed Gramercy Park Hotel (with Maialino restaurant and Rose Bar), and within few blocks are notable eateries (Gramercy Tavern, Union Square Cafe, Upland), Equinox, Soul Cycle, both Madison Square Park and Union Square Park, and so much more. 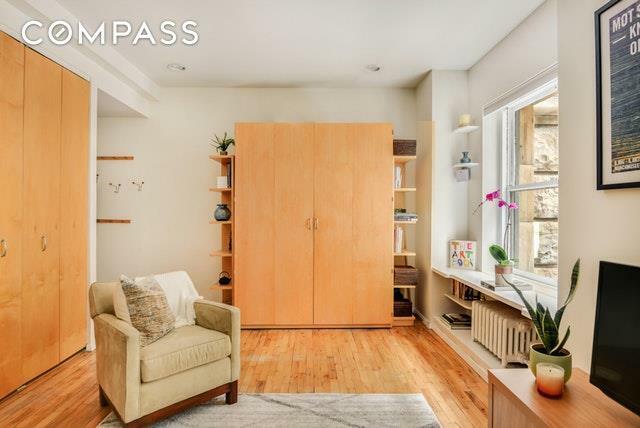 The 6 train is 2 short blocks away, and there's easy access to 1/2/3/4/5/6/A/C/E/F/L/M/N/Q/R/W & PATH trains at Union Square where you can also find Whole Foods, Trader Joe's and the world famous Union Square Farmers Market.Move right in or bring your designer to make this pre-war jewel shine. *Built in 1912 in sixteenth-century Florentine palazzo style by architect Grosvenor Atterbury, the Sage House was formerly the headquarters of the Russell Sage Foundation and was designated a Landmark by the Landmarks Preservation Commission in June 2000.